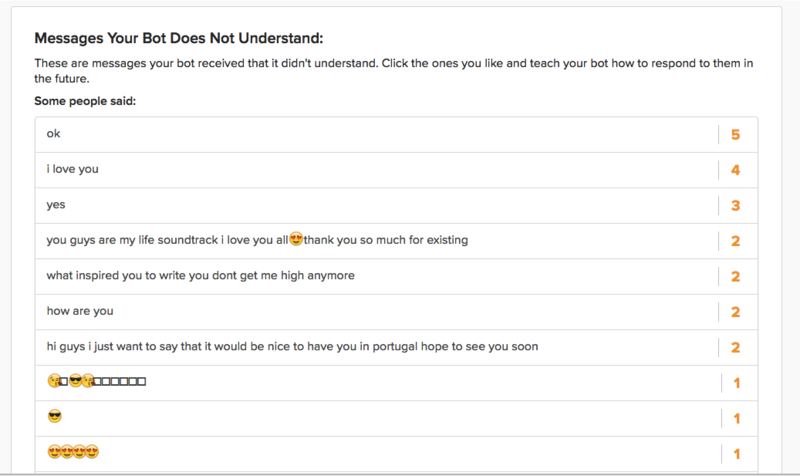 The Smart responses section allows you to understand the messages your customers are sending to your bot. Messages Your Bot Does Not Understand: These represent the most common messages sent to the bot that the bot is not yet trained to answer. We highly recommend checking these and adding responses to the top messages you see here. 1. 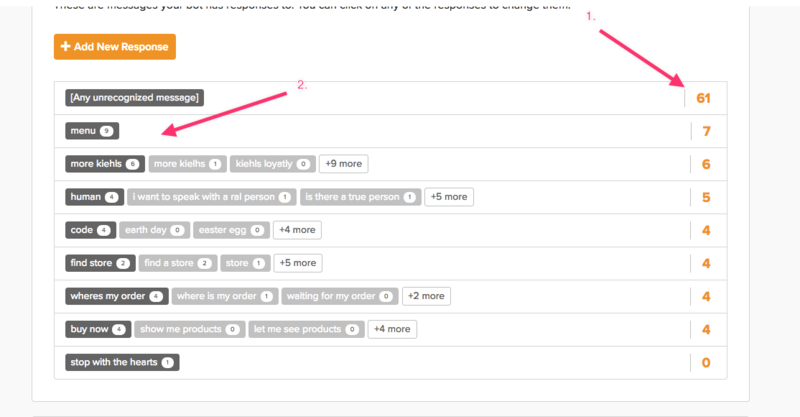 Right column: This shows how many times that particular message has been sent to the bot from customers. If you trained a response from "Messages Your Bot Does Not Understand" then you will notice this number is higher than the total of how many responses have been sent. This is because some customers sent this message before the bot was trained to respond to it. 2. Left column (on the tags): This shows how many times a given auto response was triggered.